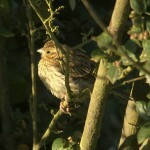 Are Jersey’s cirl buntings back to stay? 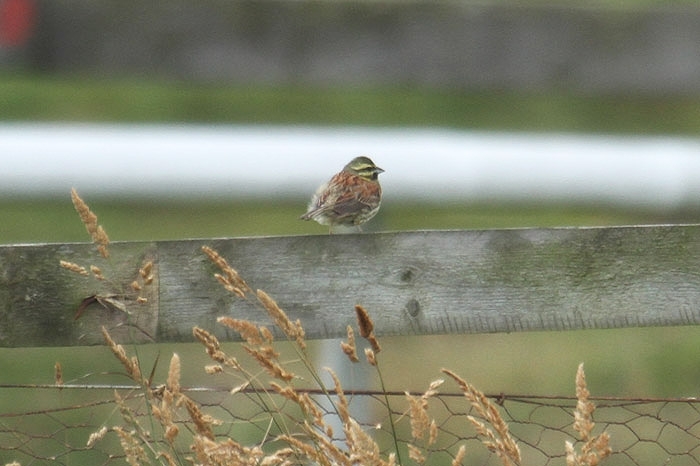 On 7th June 2011 a single male cirl bunting was, rather surprisingly, found singing merrily on the perimeter fence at Les Landes racecourse. 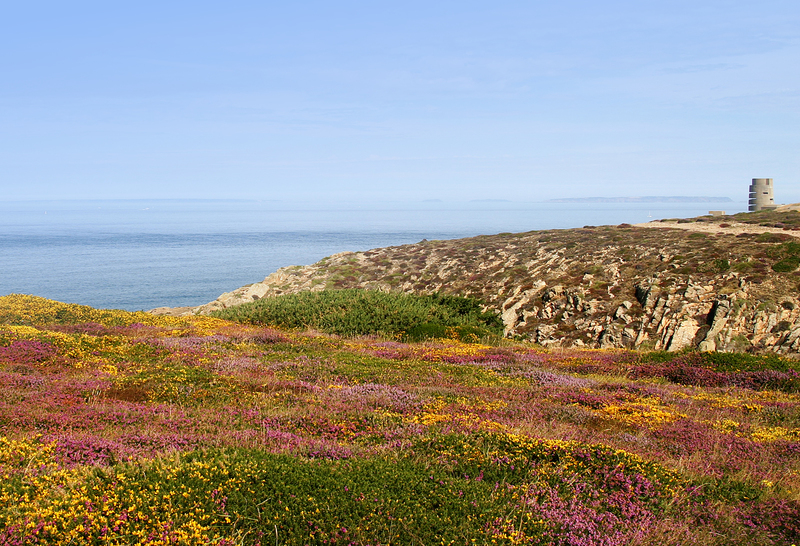 Not only had this bunting, whose decline and disappearance from Jersey been one of the catalysts to BIRDS ON THE EDGE, not been recorded here since 2004 but Les Landes was not a typical site for the species. As the excitement of this find settled a pair of buntings were located on the golf course in Grouville on 24th June. There may have still been time for these birds to breed in 2011 but there were no signs of activity so we settled down to watch over them through the winter. 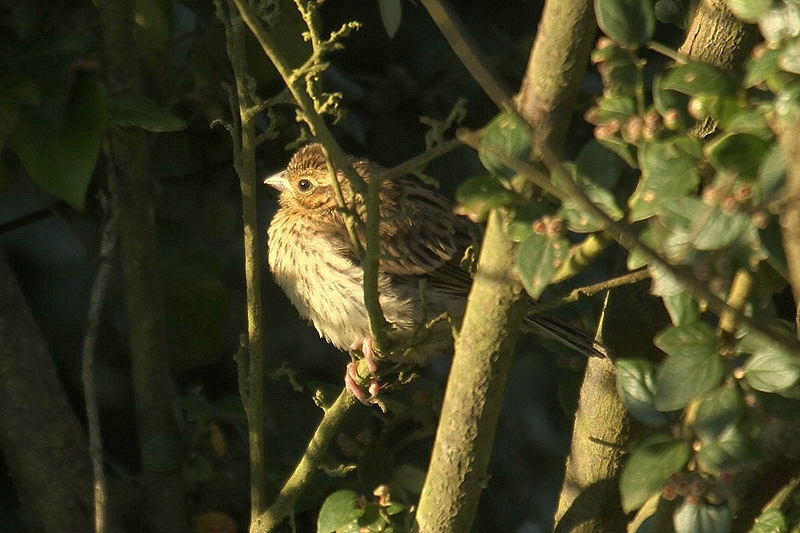 One of the possible causes for this bunting’s decline in the UK has been identified as a lack of winter food. 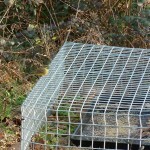 The RSPB supplied us with details of feeder designs and good seed mixes and several hardy volunteers maintained the feeders through the winter months. 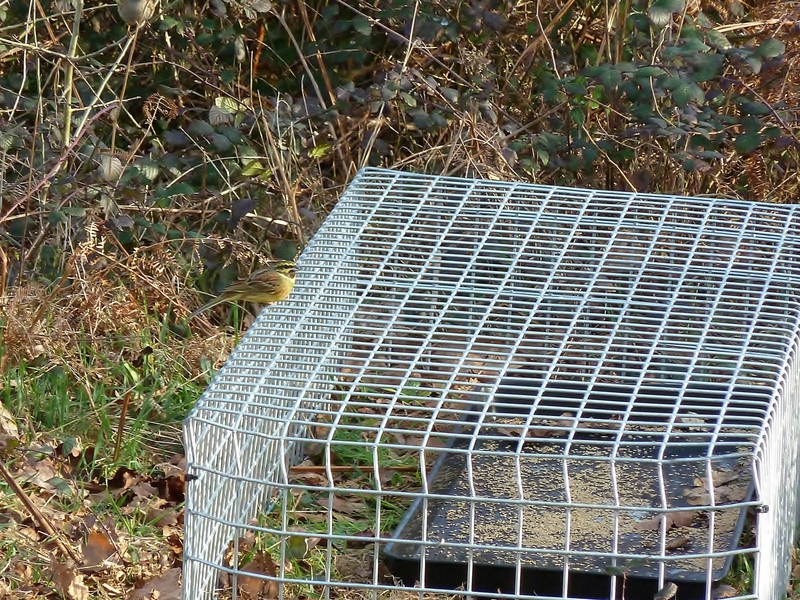 After apparently ignoring the feeders for several weeks the buntings, who remained in the area throughout, began to feed on the seed provided and, while not a very hard winter, this may have helped them survive. If nothing else it may have stopped them wandering away from this traditional site. This year we watched as the pair remained in the area and gave tantalising hints of a breeding attempt. The weather, however, may have contrived against them as heavy rain in spring washed out lots of our birds. Then, on 24th July, Mick Dryden, one of the pair’s active monitors, found a single chick – the first hatched on the Island since possibly 12 years ago. A subsequent visit found a second chick and the female may be attempting to nest again. It may take more than one pair to spur on recolonisation but it is a positive start. Thanks are due to the many people who helped out with feeding the birds, to the RSPB for their advice and to the Royal Jersey Golf Club for their support throughout. 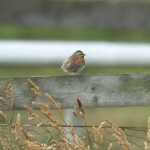 This entry was posted in Bird monitoring, Blog, Sightings, Top News by Glyn Young. Bookmark the permalink.